I am frequently asked about brushes. When I am teaching brushes are a fundamental component of painting but I use them in my studio rarely. I think many artists, especially those just beginning their painting journey, think that there is a perfect brush for every task. I tend to think that you can make most brushes do what you need (with a few exceptions). So I tend to not spend much time worrying about what number or hair type I have. Of course softer brushes are better for thin applications and blending, and stiff brushes are better for thick paint and texture. Big brushes are better for washes and small ones are better for detail. But I can get a filbert and a round to make pretty much the same marks, and a flat brush makes great lines. So there is a lot of overlap. You don’t need dozens of brushes. But maybe that’s just me. I work mostly with knives anyway. When I do use a brush, my all purpose favorite is a medium soft synthetic flat. Here are a few examples of my most used brushes (when I use brushes at all). I am going to admit, recently I do not draw as much as I should. My paintings focus on color and texture, something that drawing doesn’t give me much room to explore. Yet the value in changing media occasionally is priceless. 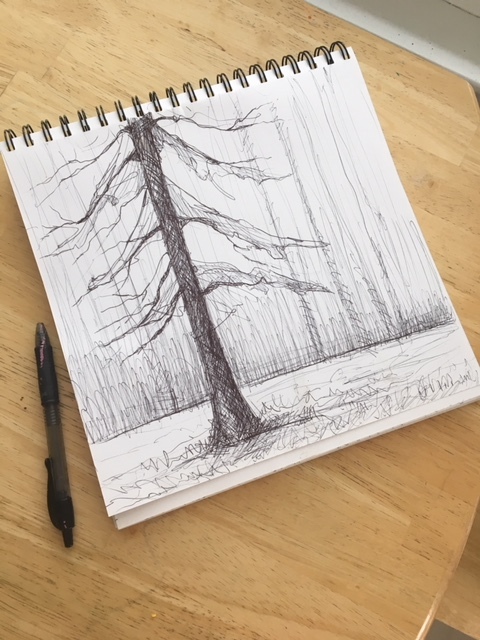 I teach drawing regularly and teaching gives me an opportunity to revisit drawing. 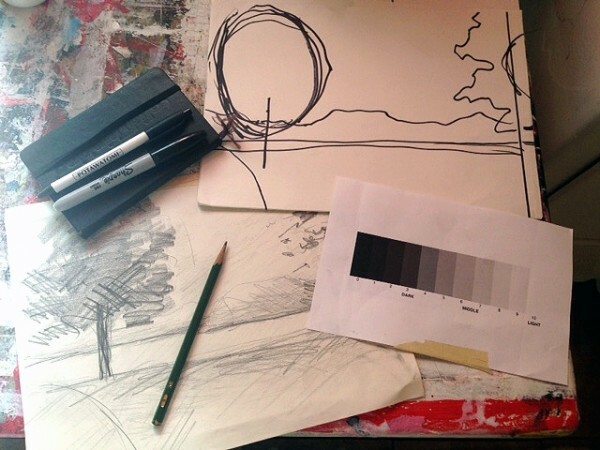 Drawing often focuses on value, line, or mark. 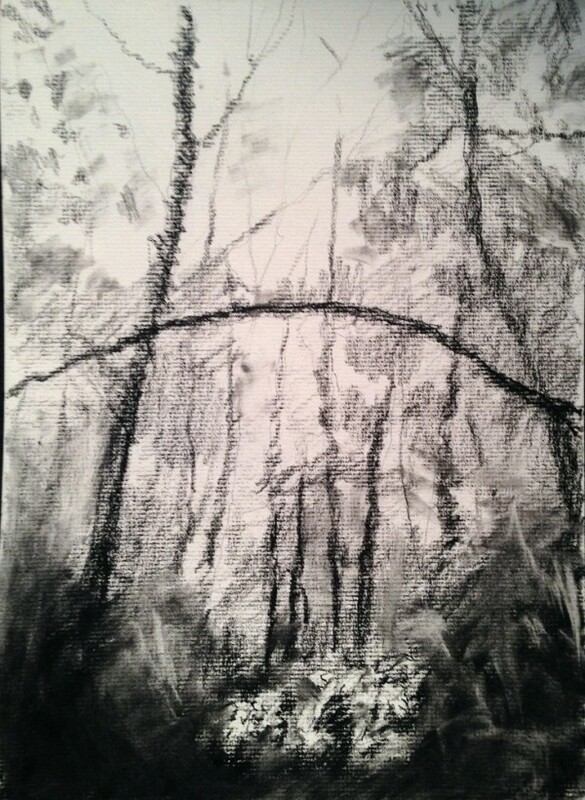 This is a charcoal drawing I did as a demo for a recent class. I had fun using the weight and direction of the mark to describe different materials and depths. It is important to remember that art making is about the journey, not the destination. The lessons learned from any and every drawing will ultimately effect the next artwork. This is a painting in flux. I often tell my students that acrylics are wonderful because they are so easy to paint over. This is true, but eventually texture build up can become the enemy. When this happens it can become more and more frustrating to apply paint because the attempt to conceal a previous layer’s texture interferes with the intentions for the painting. So after layers and layers of paint and hours lost, when do you throw in the towel? At some point all you can do is ask yourself, “am I really accomplishing anything?” A few days ago I was in a similar predicament with another painting (it has just been one of those weeks). I plowed ahead and I am now really happy with the outcome. After hours of frustrations something clicked and a successful painting emerged. Today, however, feels different. I think I am much further away from where I want to be. So, I have a decision to make. To throw way or to keep at it? It has been a great week for feedback! 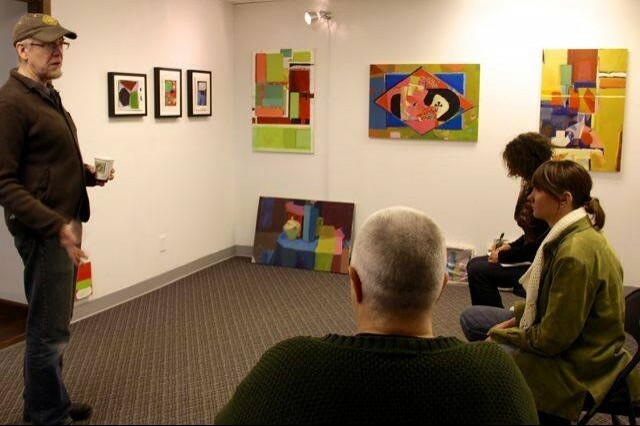 Last Saturday I participated in a critique session at the Frank Juarez Gallery with artist and instructor Michael Davidson. Then, just this past Tuesday I had an opportunity through MARN to have my work reviewed by Milwaukee Art Museum Director, Dan Keegan. At both of these critiques I also received feedback from fellow artists. My brain is now brimming and bubbling with thoughts about my work! I have jumped in quickly and am currently making work that in a sense responds to the feedback, criticism, ideas I received. I am reminded of how hard it can often be for an artist to hear criticism. There were times during my college experience that I was brought to tears because others criticized my work. Now in the professional world I find that I am less emotionally effected by criticism. Don’t get me wrong, it effects me deeply intellectually. Yet I am not crushed by the success or failure of a single painting or even a body of work. Embracing the process and realizing that we are all in the same boat softens the blows when they come and makes me more receptive to the ideas they generate. Receiving feedback and criticism happens so seldom after college. An artist must seek out these experiences and soak them up. 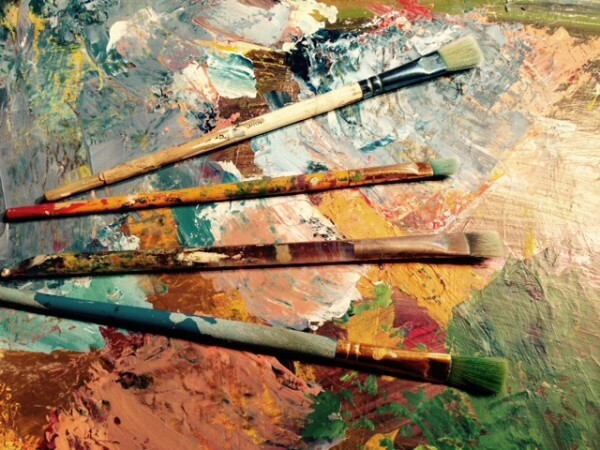 It is an invaluable tool to making better art and growing as an artist. I am grateful to live in a place where I have access to these opportunities! I have been working in acrylics this past year and one of my favorite things about acrylic paint is how well it works in mixed media. This image is a detail of a piece is on my easel right now. It is acrylic on paper. I have carved into the wet acrylics with soft pastel and pastel pencil. I love the incorporation of line in painting, and the layering of media creates diverse textures. Because acrylic dries much quicker and more stable than oil, it bonds well to other dry media. I had forgotten how much fun this was- and how much I like the results. I think there will be more of this in my upcoming work! The last few months I have been distracted in my personal life and when life happens it is easy to become detached from the creative process. I stopped painting for a while and only have eased back into it these past few weeks. In doing so I am finding a new energy and wanted to reflect on the reasons that I must paint, regardless of what life throws at me. I paint because it is all I know to do. It compels me to move, to think, and to feel. Painting excites me and energizes me like nothing else. It gives me meaning and purpose. It challenges me to constantly reinvent the universe. 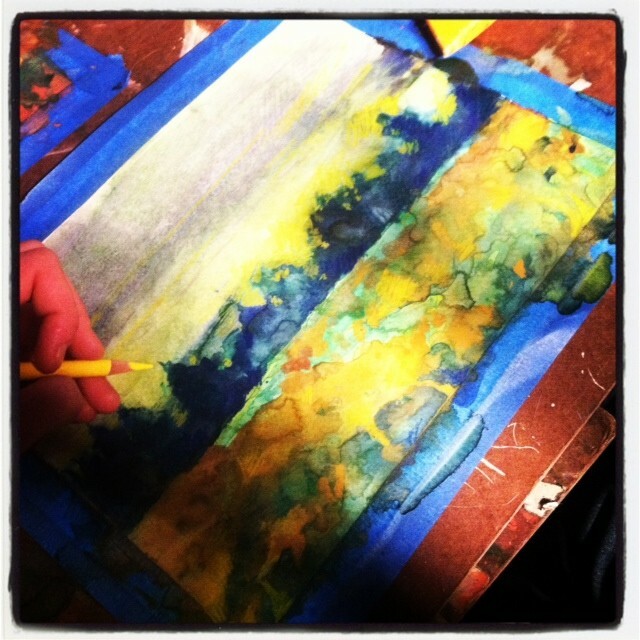 Painting instills in me the power of being a creator… and the humility that comes with creation. It is at the same time full of meaning and utterly meaningless. It is with pleasure that I embrace both these states of being while painting. I realize I have been pretty out of touch the past few months. I have had some shows and events but I haven’t been doing much painting. My teaching schedule has been completely packed during August and early September. Now with the completion of a 3 day workshop in Door County I am breathing sigh of relief. Don’t get me wrong, I still have some new classes starting soon at the Cedarburg Cultural Center and through Milwaukee Recreation. However, my schedule will now get much more balanced again. 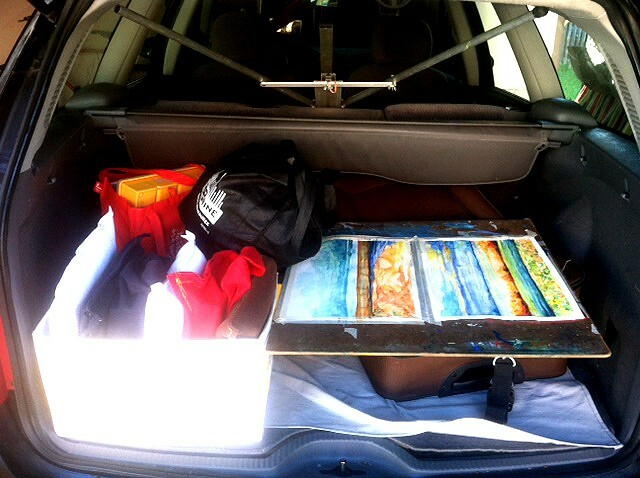 I am looking forward to some new adventures this fall and of course some time to paint! I have a show open now at the Wilson Center (reception October 4) and also a new gallery- The Tamarack Gallery – representing me in Stillwater, MN. Being a full time artist/teacher is very much a balancing act. The teaching is important, but I need to allow myself the time and mental energy for painting as well. I constantly reevaluate the way I spend my time and how to organize my calendar. I haven’t had a vacation in a while, so I am looking to fit one in the coming months as well. Overall though I am truly grateful for being able to live this life. Being an artist isn’t easy, but it’s totally worth it. Most of my paintings are done from photograph. I am not directly interested in the details of a specific place at a specific time. The photograph gives me a sense of color and the composition of the photograph gives me a structure. I work from my own photos. I take them when I am driving to a class or a show. I take them while I am on a hike or walking the dog. Most of the pictures I take are quick shots (sometimes while in motion) taken with my iphone. I am not a professional photographer. The photograph simply helps me remember what I saw when I am am back in the studio. 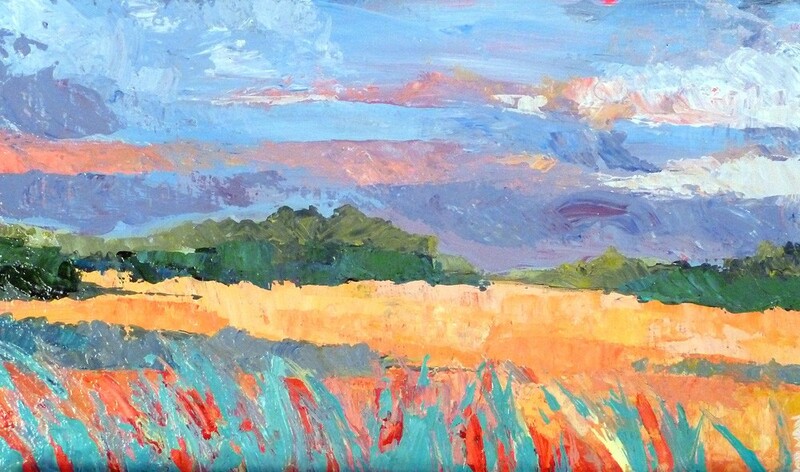 Whether it’s the way light was bouncing off of a line or trees or the angles of rolling fields off in the distance, I am reminded of what I found visually interesting in that scene and that is what I paint from. I translate that area of interest to color and texture contrasts in paint, letting other areas of the image abstract. The ultimate goal is to create a visually interesting image that has a vague sense of place but has become something else. It has become a painting, a unique work in and of itself. I picked this book up at the library earlier this week. I just thought it sounded interesting… and it is! It’s a bit of a “how to” book, but it covers a lot of information about materials and techniques. The author, Jonathan Stephenson, ties together historical information with painting technique without being dry or academic. He also really creates a broad perspective on how many different ways there are to paint! I am having fun with it and might even have to paint along with a few of the demos. 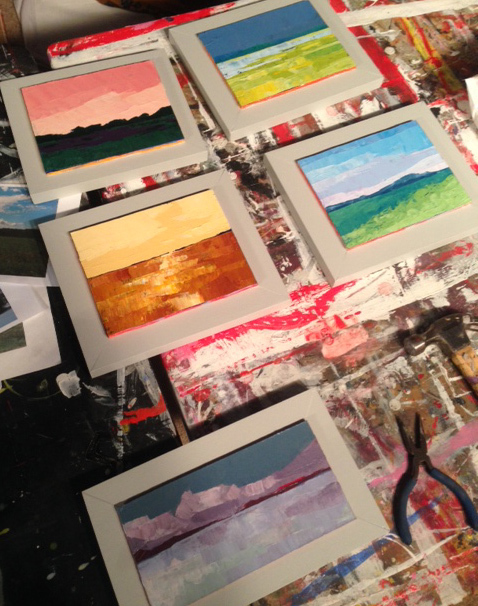 Palette knives and painting knives are fundamental to my work. I started using them 3 or 4 years ago and now use them almost exclusively in my studio work. The variety of marks that can be made, the ease with which paint can be applied and removed, as well as the feel of application have all made the knife important to me. This one is my all time favorite. Many of my paintings are done with this knife alone. 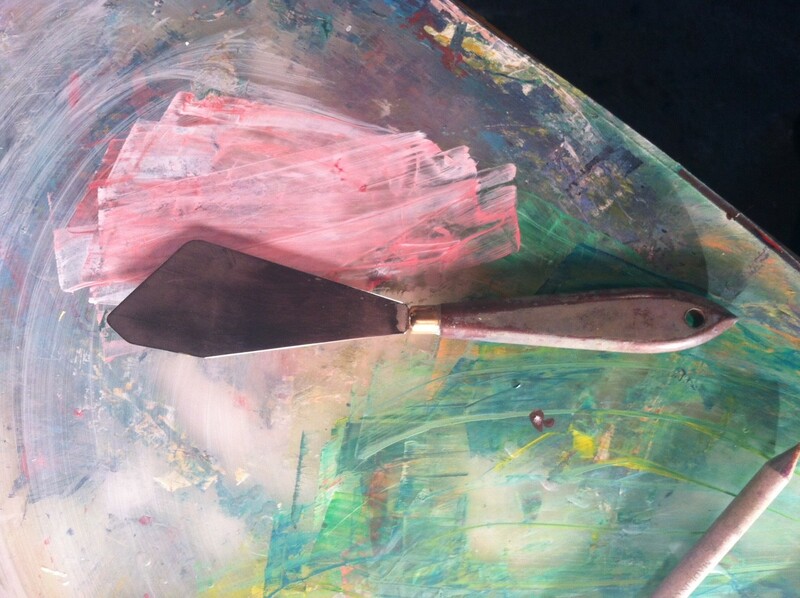 Technically this is a palette knife, it’s purpose is to mix paint on the palette. Is is sometimes referred to as a “scraper or a “large scraper” because of it’s ability to remove large areas of paint easily. What I love about it is the shape. There are actually 5 sides to it of varying length and depending on which side I build up paint on, I can get a huge range of marks. Also, the flexibility of the large knife is perfect for both hard and soft applications. I can gently layer wet paint without disturbing the layers underneath or I can scrape all the layers up with one hard stroke. So, if you are knife shopping on a budget, this is the one I would recommend. I should mention that all artists are different and like anything you do in life there is not only one way. Some people hold pencils differently then others, some people play instruments differently then others. This is the tool I have found feels most like an extension of my arm, wrist, and hand. It is the tool I can most confidently maneuver to my whim. Do what feels right. 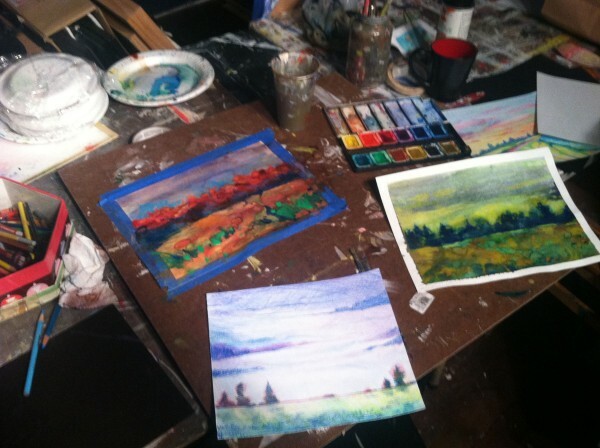 I am teaching a class at the Cedarburg Cultural Center right now on Alla Prima painting. 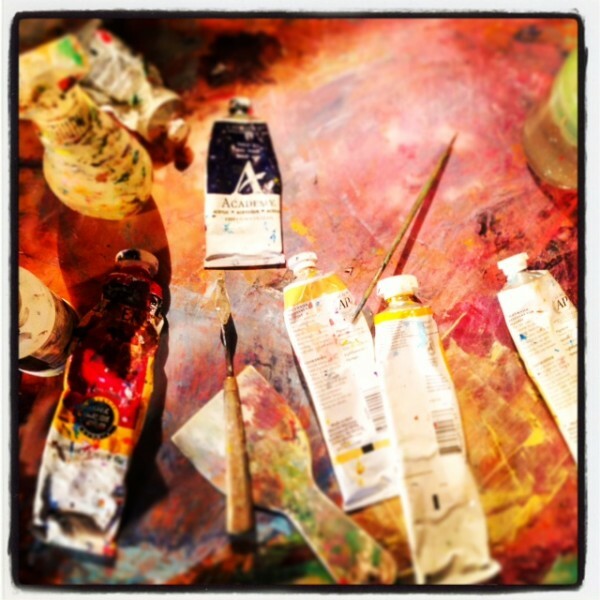 Alla Prima means, “at first attempt”. 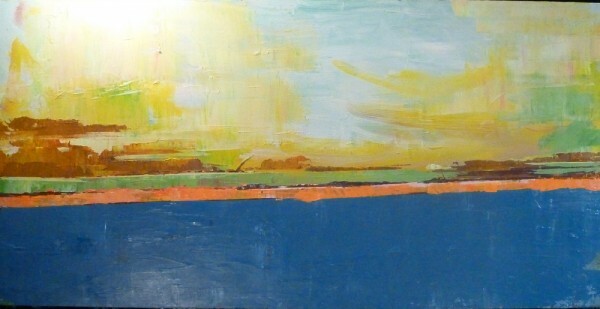 This is a direct style of painting done in one sitting, where paint mixes with wet paint on the canvas. This style of painting is recognized by a feeling of spontaneity, looseness, and confidence. This class reminds me that confidence in painting is the hardest part to teach as well as the hardest part to learn. In class we are doing exercises to help build confidence, but there is no substitute to repetition and practice. The most seasoned artists likely still struggle with confidence at times. Confidence (or lack of confidence) will come through in a painting. The brushstrokes feel either labored or effortless. The less afraid we are of painting, the better we paint. I reflected today in my studio about my own work, asking myself which paintings felt more confident and which felt less confident. Then, I painted. Early in the painting I fell into a habit of over controlling the paint and meticulously trying to perfect every mark. When this failed and I began to become frustrated, I took a large knife and smeared out all the paint. Then I began again, already having decided the painting was a loss I though I might as well play a bit before cleaning up. Within minutes, something began to happen. Colors and marks magically fell into place. It was only after giving up on the painting that I was able to enjoy painting it and paint it with confidence. There are two kinds of texture in painting- actual texture and visual texture. Actual texture (or physical texture) refers to the texture you can touch and feel on the surface of the painting. Visual texture is when something is painted to look like a texture but does not necessarily feel like the texture. I am interested in texture because it plays a big role in how we experience the natural world. Contrasts in color and texture on the surface of a painting will distinguish plains and edges. 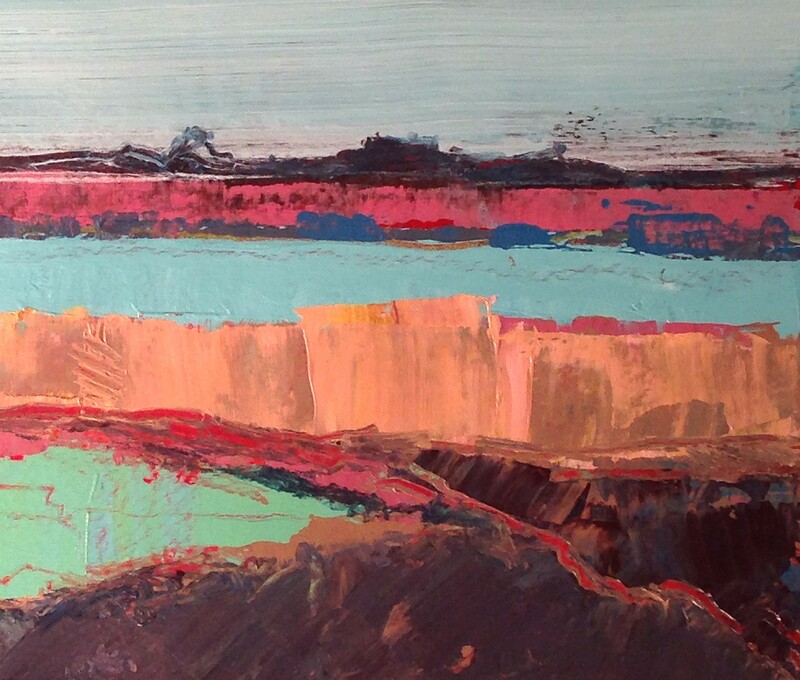 My work strives to explore the way both physical and visual texture become a perceived space in landscape. I have been on a break from painting the last few weeks. Classes, festivals, and a few new commissions have kept me very busy. However I know I will be delving into studio work again soon and I cannot wait! By the way, if you have not checked out my summer festival schedule yet, please do so! Lately I have been doing my landscapes in acrylic, still using the knife. 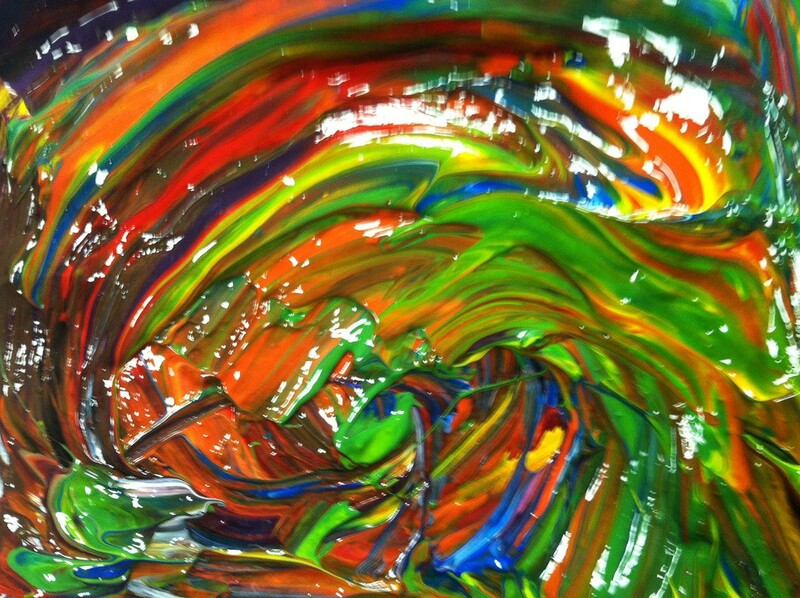 The transition to acrylic began with a request from some of my students. I also like the slightly more posterized look of acrylics for some of my concepts. 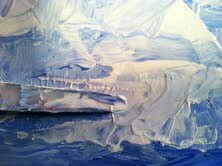 Knife painting in acrylic has to be done very differently than knife painting in oil. In oil I can play with the surface for as long as I like. I can put down paint, move it around, mix other things into it, pick it up again, put it back down, etc. until I am satisfied. Acrylics however dry much too quickly for this, forcing me to make a decision and stick with it or pile on top of it. also, as the acrylic dries it’s consistency changes under the knife which creates some textures that are different from oil. I like to change it up a bit- trying to do something different with the media forces me to keep questioning what I do and why. Its part of being an artist to seek out new ways of challenging one’s craft. It’s a life long process. 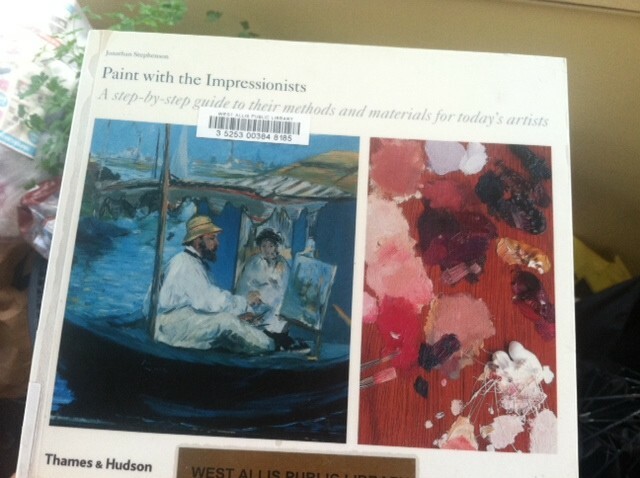 I have discovered the world of “how to” painting and drawing books. In the past I had always dismissed them as being only for the beginner. Recently I have been using them as teaching tools in my classes and I have found the information in them to be quite useful in my own studio as well. I am reminded of the reality of art making: there is no one way to do anything. Every book offers slightly different opinions on topics like the best way to start, when to use black, how to layer… etc. Not only do these books hep me brush up on my technique, but they inspire me to try new ways of using a media or approaching a composition. I have checked out Landscape, by Richard McDaniels, from the library a few times. 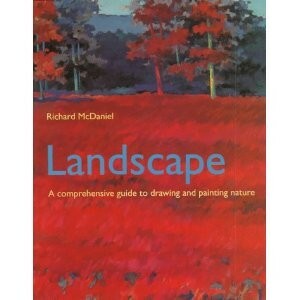 This book covered the subject of landscape in various media. I love the artworks used as examples! Also this book has a number of fun, playful tips and techniques for making interesting art beyond the traditional approaches. When I am feeling stuck, this gets me back in the studio. I cannot stress enough the importance of writing daily. Whether it is done in a journal, sketchbook, or on the computer – an artist needs to write daily. If you have ever had the experience of a profound insight while talking something out to yourself or to another person, then you know what I mean. (This happens to me a lot in the car for some reason.) 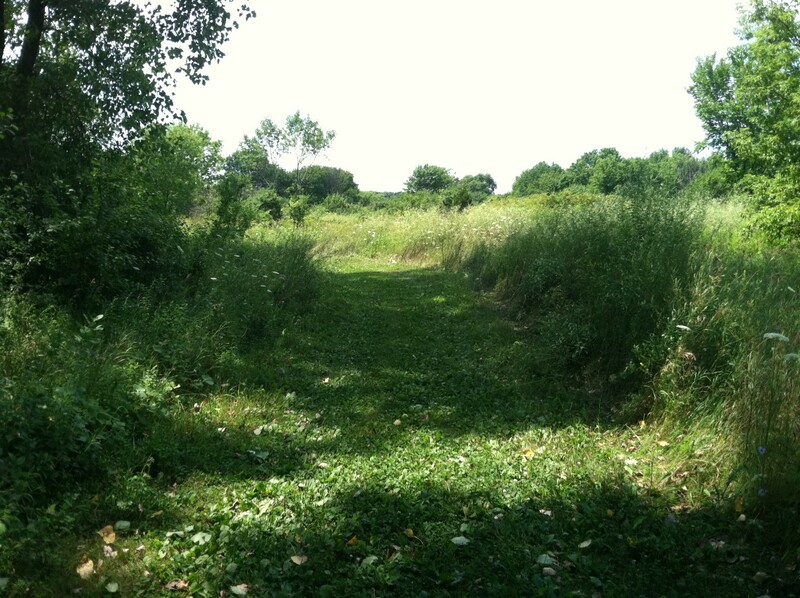 Writing allows for an open stream of consciousness that leads to new ideas. Sometimes it is really hard and I have to force myself. I will begin by writing the most mundane things – what I am doing at that moment, what I dreamt about the night before, or what my plans for the day are. Ideally this will lead to me writing about more complex issues regarding my life and art. My life and art are related and interwoven, so it is impossible to write about one without writing about the other. Regardless, this active attention forces me to discover things about myself and my work. It forces me to sit back and analyze my habits. Writing leads to clarity and ultimately better art. If necessary I often prompt myself with questions such as, “why am I painting this?” or “why did I use those colors?” or why is the painting this size?”. These questions allow me to look more analytically at what I am doing and why. This is helpful both before picking up the brush and also after putting it down. Writing, done consistantly, will open creative doors you wouldn’t even know existed. It all seems obvious enough but today I was looking back over some of my old journals and sketcbooks and I was reminded of this value. I wanted to take the opportunity to share. Happy writng!